Obituary for Zadie Mae (Carter) Loyal | Mack Eppinger & Sons Funeral Service, Inc.
Mrs. Zadie Mae Carter Loyal, 86 of Cartersville, Georgia passed away on Monday, April 1, 2019 surrounded by her loving family. Funeral service will be held on Friday, April 5, 2019 at 1:00pm at Pleasant Hill Baptist Church, 1020 Mission Road, Cartersville, GA 30120. Interment will follow in the church cemetery. The body will lie in state in the church from 12:00pm (noon) until the hour of service. The family will receive friends on Thursday, April 4, 2019 from 7:00pm - 8:00pm at the Mack Eppinger and Sons Funeral Home, 210 North Bartow Street, Cartersville, GA 30120. Zadie Mae Carter Loyal was born on March 14,1933 in Bartow County to the late Robert T. Carter and Gladys Glenn Carter. She received her early education at the Mission School, later graduating from Noble Hill School. She accepted Christ at an early age and developed a love relationship with the Lord. She was a faithful member of Pleasant Hill Missionary Baptist Church. On November 18, 1958, Zadie married the love of her life Chancy C. Loyal, Sr. and to this union six beautiful children were born. At the age of twenty-six her health began to fail her, in and out of the hospital. Despite her illness her faith never wavered. She took care of her husband and her children. Children were dear to her heart, and she loved them all. She knew they were special gifts from God. She would often say " The world would be a better place if everyone had more love in their hearts." She looked forward to vacationing with her family; going to Florida and hanging out in the cabins having fun. On November 1, 2012, Zadie lost her husband and best friend Chancy Sr., also preceding her in death; one sister, Mary Pressley; four brothers, Ernest Carter, James Carter, Robert Carter II and Howard Carter. 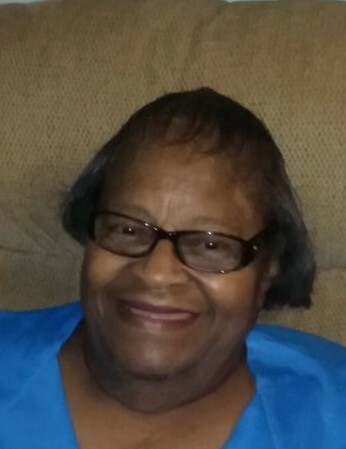 She leaves to cherish her loving memory; children, Rose Albert, Chancy Loyal Jr., Tony Loyal Sr., Daniel Loyal, Velma Turner (Bobby) and Carlen Loyal (Anessia); siblings, Jewell Jackson (Luther), Velma Slaughter, Rev. Elijah Carter (Faye), Sammy Carter and Wilson Carter; eleven grand children and fifteen great grand children; and a host of nieces, nephews, cousins, other relatives and friends.